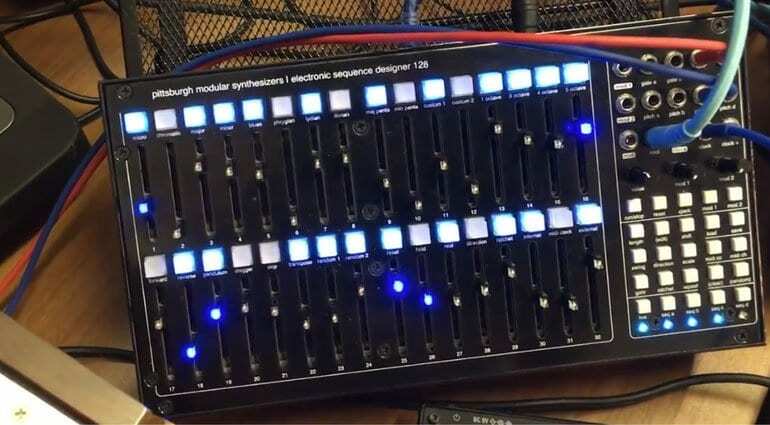 Pittsburgh Modular posted a couple of Instagrams of beautiful looking 32 step stand-alone sequencer called Electronic Sequence Designer. Very much in the style of their Microvolt 3900, I am digging the look and the potential functionality. Here’s what we know. The 32 blue LED sliders are the most fabulous of things and represent the 32 sequence steps. 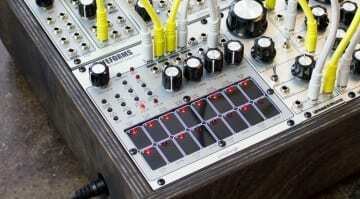 They say it has 4 channels and so capable of running up to 4 devices on either CV or MIDI. The buttons across the top row are labelled in scales and the bottom row is labelled in sequencer modes. There appear to be two channels of modulation. In the YouTube video below the Electronic Sequence Designer is running 4 channels to control a Juno 60, a Volca, Buchla and the Microvolt. 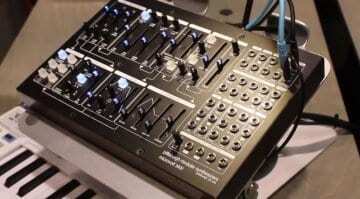 It also tells us that it has multiple performance modes with assignable CV inputs. Variable sequence length, clock division, note shift, swing, direction, scale, slider range, gate length, note rachet and note repeat. 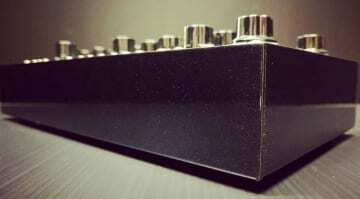 It’s not built to fill up your Eurorack, it runs by itself which I think is an excellent idea for this sort of device. I’m looking forward to seeing more of this dazzling piece of gear. 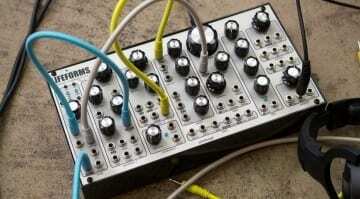 Nothing yet on the Pittsburgh Modular webpage.